Kris Mastrangelo, President of Harmony Healthcare International (HHI) interviews Sheewayne Sandoval, President and CEO of Bencura Rehab in the AHCA Provider Lounge. 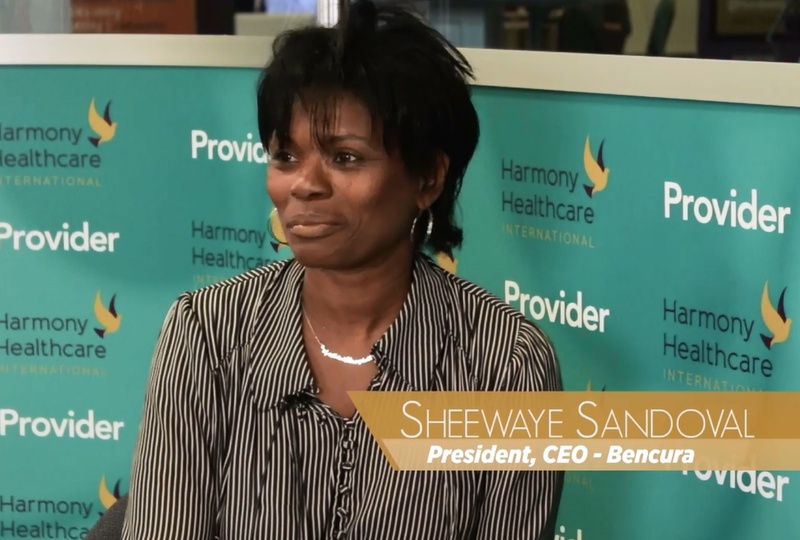 Sheewayne discusses how her team of therapists meets patient outcomes and goals in a value-based, quality environment by reaching across the healthcare continuum and connecting facilities to hospitals and homecare systems. (Audio transcription below).